Will THIS be Crooked Hillary's Secret Revenge? We voted AGAINST her lies. the risk of you and your family’s health! Join HSI today as an exclusive member so you can fight back and protect yourself from the Cartel's Executive Plan 5. Here are just a few of the benefits you’ll receive when you join HSI today. Your Three Free Welcome Gifts: Insider’s Book of Secrets, Miracles from the Vault and The Independent Patriot’s Guide to Staying in YOUR Home (Not Theirs…). 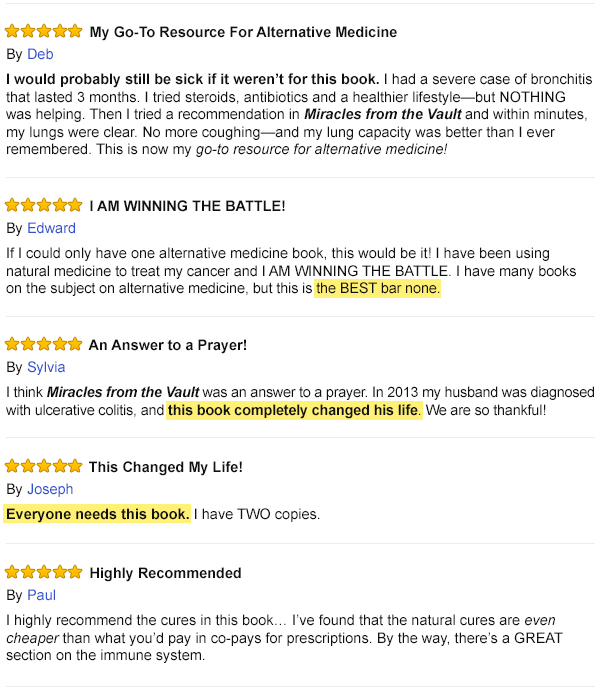 Shipped free right to your doorstep, these three books are 640 pages chock full of breakthrough cures and healing miracles covering nearly every disease… from Alzheimer’s to asthma… from cancer to diabetes… and more! Combined, these reports have an estimated total value of over $479, but today, we’d like you to have them absolutely FREE. The HSI Member’s Alert Newsletter. Each month we will send you a private report of our latest findings in natural medicine from around the world… plus how to get them and use them yourself. This thorough 8-page report is a breeze to read – and makes sure you always have access to our best cures, whenever you or a loved one needs them. Breaking News E-Alerts. Just like the rest of the news in the world, healthcare can be pretty unpredictable. So that’s why we make sure you’re always covered – even between Member’s Alerts. Whether it’s a new drug warning or price hike, or even a natural breakthrough you can use to feel better right now… we only send the news that matters to YOU. Deep Discounts for our Seniors and Vets. Here at HSI we appreciate all of our members, but especially our seniors on fixed incomes and military veterans who served our country. That’s why we negotiate special discounts on your behalf for most of the supplements we recommend. Full Access to Members Only Content in our HSI Library. Once you join HSI, you’ll be given your own personal password to access our online treasure trove of cures – virtually everything we’ve published from our 20-year history. Got a health question? Just type it into our speedy search bar and BOOM... The answer will be in front of you in an instant. Our 100% Money-Back Member’s Guarantee. We’re so confident you’ll love everything you find inside your HSI Members Welcome Package… including your incredible free gifts, private access to rare underground health miracles, discounts and more… that you’ll consider it an incredible value for the low membership cost. But if for any reason during your membership you decide you don’t need these benefits – just say the word, and we’ll issue you an immediate refund. And you keep your free gifts no matter what! With so many Member benefits to take advantage of, you might now be wondering where to begin. Everything is spelled out in crystal clear directions as soon as you join. It couldn’t be easier or more helpful. 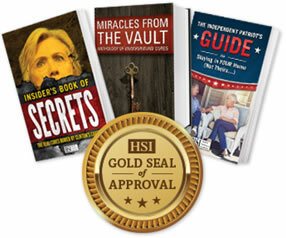 Every single piece of information, every article, report and book… the products we recommend are all Gold Seal quality. We pride ourselves on being a completely independent organization. And we only print the truth. The truth is, most are snake oil, pure bunk or just don’t have the science to prove that they work. That, my friend, is how you can trust you’re getting a proven solution. Becoming a member is simple… just fill out the form on the next page, and pay the small fee we ask to cover the costs of researching and bringing real cures to you. change your mind in 1, 5 or 11 months from now. And you keep all your free gifts, even if you cancel! You’ll be taken to the next screen where you can let us know where you’d like your gifts shipped. The entire process will take two minutes, and you’ll immediately get a confirmation email when we’ve received your membership application. Start using the life-changing breakthroughs inside to get healthier than you ever dreamed possible. And remember, you take NO RISK when you give HSI a try today. So you have nothing to lose! Just click below to unlock your HSI benefits now. Whatever your health concern is today… or tomorrow – we have you covered. Welcome to your new, healthy, joyous life. What I’m about to share with you in the next 5 minutes will be extremely difficult to read... but it will also save your life. You’re about to see a private briefing about the TRUTH behind the 2016 election. And for the last 23 years, it’s remained a total secret. To be clear: The people involved NEVER expected the inner-workings of their plan to see the light of day. And if it weren’t just for one tiny mistake... it would have remained buried forever. But if you don’t think you can handle it... close this page now before you read what I’m about to say next. This will be your only opportunity to hear my warning and take action to protect yourself and your family. Did Hillary rig the 2016 election all the way back in 1993? And, in exchange, allow a sinister act to kill 31,000 American seniors that year... And MORE every year after? Impossible? Trust me, your liberal friends and family won’t be able to deny a thing once you show them the information I’ve been able to uncover. And it’s a scheme so elaborate and far-reaching, it can only be defined as high treason. But as a LIAR, a TRAITOR and the CONSPIRACY MASTERMIND of a rigged election. Fortunately, you and I both know how her story ended... she failed to become President. And thank God for that. While President-elect Trump was watching his electoral votes flood in, Hillary went into hiding. Practically disappearing off the face of the earth. No... There’s so much more to the story than that. And the treason goes deeper than you or I could ever imagine. The outcome of this election, arguably the most important one of our lifetime, was actually planned 23 years ago, behind closed doors in a top-secret location. And putting millions of American lives in jeopardy every single day. Worse yet, Trump... Pence... or ANY of the high-powered politicos in D.C. are absolutely powerless to stop her. How do I know for sure? I’ll explain everything... but let me start by introducing myself. I’m Dr. Allan Spreen, and I work for an organization just outside Washington DC... a patriotic group that monitors our government for exactly this type of thing. We’ve uncovered a lot of dirt over the last 19 years... but NOTHING this huge. I might even be putting myself at risk to publish this report today — but it’s my duty, both as a journalist and a proud American who loves his country. But even I didn’t want to believe that this kind of thing could actually happen in America. Until I saw Hillary’s speech when she accepted the Democratic nomination. It was her smug smile and the way she waved like a queen at the crowd through the sleeves of her $12,000 pantsuit jacket... she knew she’d already won. I decided right then and there that I wasn’t going to let her get away with it... and I know you won’t either. Hillary has co-signed the most devastating American scandal this country has ever known. Because even though I truly believe Hillary is a force of evil against our great nation, she isn’t in this alone. And manipulating Hillary’s career... with her FULL blessing. My colleagues and I call that secret organization the Clinton Cartel. And they’re every bit as power-hungry and despicable as Hillary herself. ...knowing that starting in 2017 — with Queen Hillary running the show — she’d be returning the favor. That’s right, in exchange for delivering her Presidency on a silver platter... she’d look the other way while giving the Cartel full access to run one of our government’s biggest agencies... for limitless profits. When Hillary’s scheme went into effect in 2017, the Cartel would have unprecedented access to our government... and a direct path to your health and money. And now, the Cartel — hungrier than ever — still wants to be paid back. Even if it’s at the expense of American lives. I’ll explain exactly what I mean, but here’s the part that will really blow your mind... Clinton swore up and down the campaign trail that the Cartel are actually her ENEMIES. Here are the facts: When Bill first assigned Hillary to lead his Task Force on National Health Care Reform in 1993... she immediately put 33 corporate power players on her team. Now, these were some real heavy hitters across several industries that she knew had the muscle to get things done in D.C... and weren’t afraid to get their hands dirty in the process. Because with the approval of the new healthcare bill, they were promised a payout to the tune of $10 BILLION in new revenues. Thankfully, the bill was destroyed before it ever got off the ground, and Hillary’s “teammates” never got to cash their checks. With nothing more than a secret meeting and brief handshake to seal their pact, the Clinton Cartel was born. They vowed to never speak of their arrangement again. Fast forward to Hillary’s 2000 Senate bid... the Cartel funneled $86,875 in cash into her campaign, ensuring her victory. During her re-election in 2006, they upped the ante and pumped $157,015 into her campaign... and, again, she won. Then came the 2008 presidential election when the Cartel gave her $174,000 in cash. The Cartel didn’t even care if Hillary lost in the primaries... they had their sights on 2016 THE ENTIRE TIME. Fast forward to 2015 when Hillary announced that she was running for President. And now the Cartel went all-in... to the tune of $7,054,871. Trying not to draw much attention to their partnership... they privately made additional contributions to the Clinton Foundation ranging from $1 million to $5 million each. In total, it’s estimated that Hillary has accepted over $10.8 million in Cartel dirty money since 2000... and that’s ONLY including what’s publicly shown on her books. With that kind of money buying all the votes she needed... the scheme was practically fool-proof. Until her carefully-laid plan was OUTED in the final hours before the election. Hillary rightfully lost, and the Cartel was once again left with their pockets turned inside out. But that just made them even angrier. So... who exactly is this “faceless” Cartel? And why should we still be afraid of them — even after Donald Trump becomes president? And, most importantly, how can you protect yourself and your loved ones? They work in secret and consist of highly influential figures, lobbyists, and even corporate executives. Manipulate American politics — and the American people — for BILLIONS in pharmaceutical drug profits. What’s even more terrifying is that this group is NOT made of politicians. Look, Trump has promised to “drain the swamp” in DC... but these folks are too powerful to be touched. So even without Hillary on their side, they can still have unprecedented power to influence our government’s healthcare laws and policies. In just 2015 alone, the FDA received $97,605,000 in “standard fees” from the Cartel. All to allow more prescription drugs to flood the market... making BILLIONS for the Cartel. In fact, it should rocket to well over $100 million a year in money paid to the FDA, allowing the Cartel to continue to push their poison pills for BILLIONS in profit. And the worst part is... they’re selling us prescription drugs that are completely unnecessary. And many of them are deadly. Did you know the FDA receives more than 2 million consumer complaints about prescription drugs every single year!? That means in the short time you’ve read this report, 2 more Americans have died from the Cartel’s work... and seniors are at the most risk! Are you over the age of 55 and taking a prescription drug? Does your spouse take any medications? More than 31,000 seniors will die this year from legally prescribed medications. Your well-meaning doctor prescribes them for high blood pressure, cholesterol, diabetes, whatever it is. And you need them, right? Well, that’s what the Clinton Cartel wants you to believe. But today, we’re exposing their most dangerous LIE. You see, the organization I work for is called The Health Sciences Institute (or HSI). Starting with five words they NEVER wanted you to hear: You don’t need prescription drugs. The only solution that erases arthritis pain and REBUILDS arthritic joints. Pain vanishes in as little as 7 days. Are you ready for a brand-new outlook on life and ZERO pain? There’s a deadly symptom of heart failure that your doctor doesn’t know! This is MUST-READ information to save you from a fatal heart attack... Plus, there’s a simple solution for protecting your heart now, if you know where to look. You see, there are TRUE cures from all over the world that work as well as (or better!) than prescriptions... but with no lousy side-effects. In fact, in many countries around the world... these therapies are PRESCRIBED by doctors. And reports are flowing in that they’re curing grateful patients from cancer, heart disease, Alzheimer’s and more. But why not here... in the greatest country in the world? Well, it interferes with the Cartel’s money machine. You see, these are all NATURAL disease treatments... discovered by top scientists right here on God’s green earth. But you can’t patent a plant extract or an herbal disease treatment. And if you can’t patent something, you can’t sell it for big profits. So why would the Cartel even waste their time? It makes WAY more sense for them to try to replicate the cure with something artificial that will become their next cash cow. So the Cartel bullies the FDA into making sure these natural cures STAY a secret. While also making sure you and your doctor only hear about their “wonder drugs”... and keeping those deadly side-effects sealed away from the public eye. And that keeps Americans coming back to deadly and ineffective pharma drugs over and over. And most importantly, I’ll show you how you can legally get your hands on all of them... FREE. That’s correct — we have arranged to send you everything you need to know about these 5 astonishing disease cures... at no cost to you. So we’ve printed up every single cure in a free report we call... The Insider’s Book of Secrets: The REAL Cures Buried By Clinton’s Cartel. And we’re ready to mail it right to your door. Today. We feel it’s our duty as Americans and patriots. And it’s the ONLY way to stop the Clinton Cartel from carrying out the final phase of its deadly scheme. They can wipe all traces of this report from the internet at any moment. This could be your only opportunity to read this report... uncensored, and in full. I’ll give you full details in a moment on how you can claim your FREE report. But let me tell you exactly what you’re getting. We’re jumping right in with #5 — and it’s an absolute shocker. For the first time ever, cancer is now a completely curable disease. Colorectal cancer, pancreatic cancer, breast cancer, skin cancer, lung cancer, leukemia, even inoperable brain tumors and more... are NO match for this natural discovery. It’s all thanks to this breakthrough that comes from one of the strangest places on earth... a rare type of sour honey!? ...and 1.6 MILLION new cases expected to be added by the end of this year alone. And it’s not even the fear of living through the disease and decline that’s the worst part... it’s the fear of dying the horrible death that comes with it. Chemotherapy, radiation, disfiguring surgery... and then death. More than half a million Americans a year... dead from cancer. But instead, they chose to keep their email chain private and unpublished. They didn’t want anyone to see the truth or make their Cartel “investors” angry. And this admission was dated all the way back in 2013! It’s a type of “sour honey” that has remained untouched for thousands of years. Within 24 hours, Sour Honey was shown in vitro to demolish breast cancer cells on the spot — killing 13% of the cancer in just the first day alone! And in a separate study, looking at human-like tumors on mice, tumor growth was halted a full 50% with Sour Honey. And on two different aggressive types of prostate cancer cells, Sour Honey was shown in vitro to boost the speed in killing the cancer... destroying up to 75% of the cancer cells in the study! How does it work so fast — and so effectively? First, it teams up with your body’s own natural chemistry to selectively target “grow” signals that cancer cells put out as they multiply and spread. Next it marks all of those nasty little cells (kind of like a label maker) — letting the body know that they are bad news. Then it swoops into action on the “marked cells,” destroying masses of cancer cells and only cancer cells. So your normal, healthy cells stay untouched and continue to thrive. But that’s not all... the thing that makes Sour Honey so one-of-a-kind, is that it has a dual-mechanism for killing cancer cells. In addition to eliminating cancer directly, Sour Honey has even been proven in studies to drive cancer cells to kill THEMSELVES. I’ll save you the boring science lecture and tell you everything you need to know next. Remember that “grow” signal I mentioned earlier? In the medical world, it’s called PAK1 (or Protein Activated Kinase) — and more than 70% of cancers rely on it to invade and spread through your body. So Sour Honey’s dual-action job is truly what makes it special... it kills cancer directly, but it ALSO cuts off cancer at the source. Sour Honey jams up their signal codes, and the tumors have no choice but to self-destruct. From early to late-stage cancer... there’s virtually nothing that’s too tough for Sour Honey. There are even over 299 lab studies on Sour Honey and cancer — with remarkable results! Yes, study after study confirms... FINALLY. We have a natural, safe way to beat cancer. Like this case study report from Dr. Osamu Mizukami and his patient Bill G.
Bill was a 49-year-old man suffering from stage 3 stomach cancer... and desperate to live long enough see his only daughter graduate from college. He had a surgery scheduled to remove the deadly tumors in his stomach... but terrified of going under the knife, he agreed to meet with Dr. Mizukami and try one last treatment. Dr. Mizukami immediately put Bill on the Sour Honey protocol, then sent him home. Every single cancer cell had disappeared... GONE. There was no trace of cancer left in his body. Of course Bill’s surgeon immediately canceled the procedure... and Bill NEVER had to reschedule. That was 7 long years ago, and he is still healthy today — all thanks to the Sour Honey that saved his life. But Bill isn’t the only success story... not by a long shot. I recently sat down with Dr. Mark Kaylor, who uses Sour Honey on almost all of his cancer patients, to talk about how they’ve responded to treatment. Did you know that in countries around the world — like Japan — Sour Honey is openly given as a PRESCRIPTION by doctors to fight cancer? Meanwhile, here in the U.S., doctors who practice natural medicine have to tiptoe around the Cartel to tell their patients what Sour Honey can really do to heal them — even though it’s 100% legal. But as I mentioned earlier, Sour Honey is extremely rare — and even harder to find. Drug companies have already acknowledged that Sour Honey will be the future of mainstream cancer treatment... but after trying to create an artificial version for 20 years, they’ve all but given up. There’s simply nothing else in the world like the real thing. That’s why it’s so important you know the ONLY real source in America that can deliver the same results from the studies above... as well as details on the full Sour Honey protocol so you can use it yourself. Let me be clear... if you’re in the fight of your life, THIS is the life-saving resource you’ve been waiting for. Everything is revealed on page 1 of your full report... The Insider’s Book of Secrets: The REAL Cures Buried By Clinton’s Cartel. And, as an American citizen, you are eligible to receive one copy right now... as a completely free bonus gift from the Health Sciences Institute. Just keep reading and I’ll tell you how to claim it next... because the information The Insider’s Book of Secrets contains could be your only lifeline after the next election. You’ll finally have full access to the biggest cures the Cartel has covered up throughout the last 23 years. For the first time, I’ll pull back the curtain on buried cures for dementia, arthritis, diabetes, cancer and so much more... telling you exactly where to get them and how to use them. You see, these are cures that are so potent... SO PROVEN... they threaten to empty the wallets of the Cartel and their buddies at the FDA. And if they have the power to rig a presidential election, all it would take is a quick snap of their fingers... and any trace of these cures’ whereabouts will be wiped from the internet. So if you leave this page at any point, this information might not be here if you ever decide you want it later. The unlikely nutrient that has been PROVEN to turn back the brain’s clock 12 years, giving Alzheimer’s patients their lives back! ...and new hope for how we treat the disease in the future. What would you say if I told you that there’s something you’ve eaten in a salad... that can be supercharged to do what even the “best” Alzheimer’s prescription drugs can’t? Even things like learning and being able to talk again... and more! You see, Alzheimer’s is our fastest growing disease — with over 5.4 million Americans suffering at this very minute — and an additional victim being taken every minute of the day. By year 2050, it’s expected to claim someone new every 33 seconds. Worse yet, according to the Alzheimer’s Association, 1 in 3 seniors will DIE with the disease. At this rate, Alzheimer’s is considered out of control. Does the Cartel have any interest in CURING the disease? NO WAY. Because if they actually create a cure, then they can’t keep profiting off of desperate people who depend on them. So instead, they created 5 different drugs to treat only the symptoms... to make sure people keep coming back for more. CONFUSION. Now, tell me, why would it make sense to take a drug to help manage confusion if the side‑effect is confusion!? And these aren’t even rare cases that are experiencing side-effects... they’re common. EXPECTED even. It’s clear Hillary’s Cartel isn’t interested in the cure. Only the cash. Luckily, there’s a better way. Because that unique “salad” nutrient I mentioned earlier is changing lives... and you don’t need to go anywhere near a prescription pad (or a vegetable) to make the same miracles happen for you. They found that the same powerful nutrient naturally produced in our brains is also found in a common salad ingredient. And this natural nutrient is vital to making sure our brain cells function as they should. Called “PDS,” it acts like armor for your brain. In fact, it’s the #1 protector of the membranes that surround the delicate nerve cells in your brain. And with them goes your brain power, memories, the ability to take care of yourself... and even your will to live. So if you can build the membrane back up and protect it, the nerve cells regain their capability and the brain thrives... healthy as can be. When scientists realized that PDS also exists elsewhere in nature (in mega-amounts! ), they extracted it and put it through a series of tests on senior volunteers. Researchers noted that the changes were so dramatic, it was like rolling back their brains’ clocks 12 full years. Much to their surprise and delight, it acted just like the body’s natural PDS — only a supercharged version. Here’s what happened in the first clinical study... 149 senior patients suffering from a wide range of memory problems were divided into two groups. The other? A phony placebo “treatment” to make them think they were doing the same protocol. By the end of those 12 weeks, only the group taking the REAL thing found that their memory had significantly improved... with the most improvement shown in their ability to remember names and faces. How their families must have cried the happiest tears when they returned home and recognized their husbands, wives, children and grandchildren once again. Do you have a loved one suffering from the ravages of Alzheimer’s disease? What would it mean to you to give them their life back — and to have all of them back? To watch the light return to their eyes as they remember you once again? It was even able to pull patients out of the depths of dementia — keeping their minds crystal clear even after they stopped taking it. That’s right! In a second group of senior patients suffering from dementia, researchers saw drastic memory improvement (especially in their word recall) using the same PDS Protocol in just 12 weeks. But when the researchers followed up with the patients in their homes a full 3 months after the study ended... they were shocked to find that their brain improvements were still as strong as the day they left the lab! So even though the patients hadn’t continued doing the PDS Protocol on their own... their minds were just as sharp and they were able to remember words just as easily as 3 months before. Could this mean that dementia has finally been cured? I can’t wait for you to see the entire PDS Protocol and see just how easy it is to do... again, it is something your body already creates naturally — so there are NO harmful side-effects. And it’s all waiting for you on page 7 in your free copy of The Insider’s Book of Secrets: The REAL Cures Buried By Clinton’s Cartel. Every single page inside The Insider’s Book of Secrets has been thoroughly researched... vetted, and approved by our organization to make sure these cures are the real deal... and you get real results! In fact, these are the only natural cures in the world that HSI is awarding the prestigious Gold Seal of Approval. Show your copy to your own doctor, and I’m positive he’ll be impressed by the articles inside. He might even start using some of them himself! All the instructions are there to do the PDS protocol yourself in the comfort of your own home... including correct dosage, where to get it, and even tips on a few other ingredients you can add if you want to see even faster or more potent results. You’ll be amazed by what it can do for you too. If I offered you a piece of candy that promised to erase your arthritis pain in just 7 days... would you take it? Or would you think that it sounds too good to be true? Did you know that there are currently over 301 drugs on the market to treat arthritis pain?! Maybe you even take one or two of them yourself (like Celebrex, prednisone, or meloxicam), because if you’re suffering from severe pain... you know there’s nothing worse than seeing how it can rob you of all the joys in life. Or that creeping feeling when you realize that pain now is a permanent part of your life... and what if it gets worse? Or when it gets too bad to manage, how will you go on? The Cartel knows this feeling SO well, they prey on helpless people living in constant pain... while pushing pure poison down their throats. And, yes, I mean POISON. Picture one entire NFL team being wiped off the planet today... tomorrow... and every single day after that with NO explanation. There would be round-the-clock coverage on every major news network in America. So why doesn’t the FDA let the American public know how dangerous these pills are? It’s simple really... pain pills are the darlings of the prescription world. In 2010, the Centers for Disease Control estimated that enough prescriptions were being written for painkillers to medicate EVERY SINGLE AMERICAN ADULT around the clock for an entire month. And Consumer Reports found that 300% more prescriptions are being doled out today, when compared to a decade ago. If you’re dealing with chronic pain... there’s a 90% chance you were prescribed something that the Cartel KNEW wouldn’t help you long-term. Painkillers offer ZERO relief in the battle long-term. Why? Because — by design — their only purpose is to help with short-term pain (like if you had a tooth pulled or a broken bone). They don’t go to the root source of your pain to cure what’s causing it... instead they only mask the symptoms. And they’re highly ADDICTIVE. So you have to take more and more and more to keep the pain at bay... until it’s too late. With so many people dependent on them, it’s no wonder Hill’s Cartel wants us to keep using them forever. They would be furious to lose all of that cash. A TRUE arthritis solution exists that does what prescription painkillers can’t! Finally, there’s a CURE that fixes the underlying cause of your pain, and makes sure it never comes back. This wonder substance is called EG-M, and it naturally contains mega-amounts of collagen, plus more than a dozen amino acids, essential proteins, and healing minerals... all things that your body craves to be healthy and pain-free. They were blown away to see their patients’ pain practically ERASED starting in as little as 7 days. And, again, this was all starting in just 7 days! What would that mean for you to wake up 7 days from now with your pain... GONE? Now, EG-M checked the box of being able to relieve wide-spread pain while working FAST. But could it do the same for something more targeted? Like... arthritic knees and hips? So, in the next study, 44 patients with severe arthritis in their knees and hips were given 500 mg once a day for 8 weeks. And on day 60, they reported feeling a full 35% better for pain, and 29% less stiffness. The way EG-M works is genius — because the second you start using it, it goes to work immediately in a dual‑action way. First it erases pain and stiffness quickly... to get you back to doing all the things in life you love most. All the while working to rebuild the connective tissues and cartilage — the foundation for happy joints, and a pain-free you. So you can look forward to a brighter future, without pain and worry in as little as 7 days. 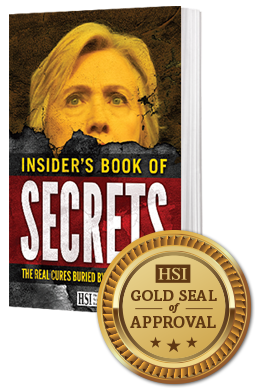 I promised you a no-pill solution to get rid of your arthritis... and that’s what you’ll get in your free copy of The Insider’s Book of Secrets: The REAL Cures Buried By Clinton’s Cartel. You see, EG-M is NOT a pill, diet, drink or even an intense protocol. In fact, it’s a chewy type of candy with a delicious cherry flavor. Eat a piece of candy a day and say so long to pain for good!? But, a fair warning, The Insider’s Book of Secrets contains the ONLY verified source of EG-M... the same one that they used in the studies I mentioned earlier. So if you want real pain-free results on demand... you must use only this source. I found that the internet is crawling with imposters claiming to have the same type and amount of EG-M in various products... but they’re all as fake as a $3 bill! Don’t waste your time or your money... just say "YES!” to claim your free Insider’s Book of Secrets guide! Page 7 — The entire PDS Protocol for Alzheimer’s and dementia, for a razor-sharp memory in 12 weeks! All verified by HSI and awarded the Gold Seal of Approval. In fact, I’ve only scratched the surface of every incredible solution found in The Insider’s Book of Secrets. Hillary’s cronies are going to be livid when news of the #2 cure gets out... because it’s a problem that affects over 50 million American adults right this second. Deep, restful sleep is crucial for the human body to function normally, but — sadly — most of us also consider it a luxury. Whether it’s falling asleep, staying asleep, or just feeling like we GOT some good rest... why is it so hard to do? Well, it turns out that “bad sleep” is actually hard-wired into us as we age. It has to do with the amount of REM sleep (that’s the deepest kind) that we get tons of as children... but drops off more and more as we get older. The older we get, the harder it is to sleep through the night. And that even goes for the healthiest human beings on the planet. So if you’re a senior, you could be doing all the right things... watching your caffeine before bed... making sure you’re staying active... and your bedroom is distraction-free ... and your body STILL won’t let you sleep! No wonder we’re desperate to get some good sleep... because we physically CAN’T. You can bet the Cartel is salivating over the idea of that payday, with seniors being their prime target. Unfortunately, the Cartel is also conveniently covering up the fact that their “harmless” little sleep pills do the most damage to folks over the age of 60. In fact, emergency room visits have DOUBLED in the last 5 years due to sleeping pills. But if even if you’re lucky enough to avoid the hospital, a broken bone, or memory problems... there’s one even bigger risk that the Cartel is covering up... DEATH. A 2014 study recently found that — across the board — sleeping pills increase your risk of early death 200%. 200%! In fact, people who took less than 1.5 pills per month were 350% more likely to face death before their time. Why am I telling you all this? Because you deserve the truth — and the information to protect yourself. That’s why I’m also so excited to show you this natural sleep trick that will give you the good night’s sleep you deserve — the safe way. With ZERO risk of nasty side-effects or DEATH. That deep restful REM sleep I mentioned earlier? Well, scientists have found a way to trick your body into creating more of it... by calming the chemical receptors in your brain that control how you feel, think and react. Think of it as a “light dimmer”... it doesn’t completely turn off those signals... it just takes them out of overdrive to put you in a super relaxed state. And the result? No more insomnia... or anxiety keeping you awake at random hours... just peaceful sleep and the feeling of true rejuvenation the next morning when you open your eyes. And best of all... since it’s completely natural, there are NO side effects. Surprisingly enough, this trick is actually over 3,000-years-old — and is even PRESCRIBED by doctors in countries around the world. Nope, it’s actually a simple sleep “cocktail” made of all-natural ingredients you can make right in your own kitchen... and enjoy on your own time — whenever it’s convenient for you. Because it just puts your body into a calmer, NOT a sleepy or “zombified” state, you can enjoy the brain benefits around the clock. Just stir up a quick glass and immediately enjoy the full benefits of what the drink delivers... more focus during the day and sweet, restful sleep — night after night. And because every ingredient is non-habit forming, you can feel good knowing that you can use it as often as you need it — without fear of addiction. Or feel free to use it once, even if you just need it to get you through an especially tough time. No one should have to go through this kind of horror, but just imagine having the solution on-hand and ready for a friend or loved one in their time of need! Just like Denise’s church friend, you could be that same blessing to someone else. Just open to page 15 in your free copy of The Insider’s Book of Secrets... to share the full sleep cocktail recipe, and all the scientific studies that prove how well it works. With thousands of raving new fans turning to this easy trick for a boost at night... you can see why Hillary’s Cartel is now terrified at the thought of giving up their precious payday (with over $58.1 billion in sales per year). How sad for them... how will they come up with the cash to pay for their beachfront mansions then? So they want to make sure you NEVER hear about this Gold Seal-Approved sleep solution, or try it out for yourself. But as soon as you RSVP for your gift and say “YES! I’m ready” they’ll be powerless to stop you. Your copy be gone... and you’ll know that Hillary’s dirty Cartel has won. So while it’s still available right now, we’re just moments away from revealing the #1 covered up Cartel cure... AND giving you full access to your complimentary copy of The Insider’s Book of Secrets. I’m about to reveal a hidden symptom that HALF of all seniors have — but don’t know it — that could send you straight into a fatal heart attack... TOMORROW. Here’s the story no-one (especially not the Cartel and their best buddies at the FDA) is talking about. You are a still a PRIME TARGET for this lethal disease. And by the time you start to actually feel the symptoms — unfortunately you’re already too late. But luckily there is one way to check to see if you have this terrifying disease... only the Cartel doesn’t want you to hear a thing about it. Why? You guessed it... COLD. HARD. CASH. You see, they don’t have a single drug on the market to tackle this scary symptom... so they make sure warnings (like the one I’m sharing now) stay buried. Instead, they force-feed you information about maintaining good blood pressure, low cholesterol levels... losing weight, keeping stress low, diabetes in check... and on and on. It makes sense for them... they have hundreds of drugs to “treat” all of those heart health issues. And those hundreds of drugs are shilled to the tune of $64.4 BILLION, in fact. Except every single one doesn’t do jack for the ROOT CAUSE of fatal heart attacks... or reversing that silent, deadly symptom. What is it? To put it simply... scientists aren’t exactly sure why this happens to some and not others, but it has to do with the way your body processes calcium. For the people that process calcium normally, it goes straight to the places where your body needs it: to strengthen your bones and keep them healthy. But for people that don’t process it normally, that same calcium is robbed from your bones... and ends up in the wrong place (like the blood vessels and heart) where it’s bad news. This can happen for years — even decades — without you knowing or feeling a thing. All the while, this calcium depositing is gradually building up in your body’s organs and arteries where it doesn’t belong... slowly turning your insides into stone. So by the time you actually realize what’s happening, it’s already too late. You might even be right on death’s door. #1: There’s a quick test you can take to make sure you don’t have the symptom. It could be the ONLY thing that will save your life, and give you many, many more healthy years with your loved ones. Everything you need to know about the test and Stone-Reversal Technique starts on page 21 of The Insider’s Book of Secrets. Can you imagine having the peace of mind knowing what’s really happening in your body behind the scenes... and if you do have the lurking symptom, being able to start reversing it immediately? Surely that would be worth spending the few seconds it takes to RSVP for your free book, right? I can’t wait for you to claim your copy today — look for the instructions and don’t miss your chance... because it’s coming up soon. The Insider’s Book of Secrets is a must-have resource you simply can’t be without... it’s the only book the world-over that contains not one — but 5 REAL cures for the most feared diseases to mankind. And, best of all, these aren’t unproven cures or some one-time miracle. Every single cure in this book has been thoroughly researched and vetted by our team of skilled health researchers. And often interview the doctors and patients who have used them firsthand, to verify the results we’ve seen in the lab. Plus, we make sure everything inside, cover to cover, is safe. These rare cures and treatments are simply unlike anything else in the world, because they’re natural AND proven — and boy do they WORK. 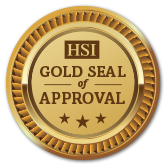 In fact, we think these breakthroughs are SO valuable... We’re awarding all of them HSI’s Gold Seal of Approval. Our most prestigious honor. Cure #5 — The Sour Honey Secret. Flip to page 1 and discover the only natural cancer cure acknowledged — and buried — by our own U.S government. Could this mean the end of chemo? No wonder they never wanted this to get out! Cure #4 — The PDS Protocol. On page 7 you’ll discover the easy secret to reversing Alzheimer’s and dementia... with the power to roll your brain’s “clock” back 12 years! Cure #2 — The Good Sleep Cocktail on page 15 that keeps your mind focused and calm during the day, and gives you deep, restful sleep night after night...You’ll be amazed by how much better you start feeling right away. Cure #1 — The Stone-Reversal Technique that reverses deadly calcium build-up in your body’s organs...This is MUST-READ information to save you from a fatal heart attack... turn to page 21 first thing. But wait... there’s even more. Even though we consider these the 5 best cures we’ve found in our 20-year existence... we realize that there are hundreds of other incredible natural cures and solutions just waiting to be discovered from around the world. Cures that Clinton’s Cartel wants to make sure you never find out about, so you keep buying their dangerous drugs instead. So, in addition to your copy of Insider’s Book of Secrets, I’d like to add a SECOND gift for you today — free of charge. 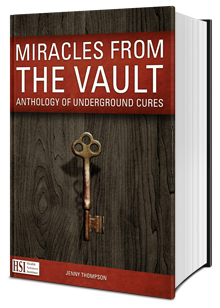 It’s called Miracles from The Vault: Anthology of Underground Cures and at a full 564 pages long... this massive resource is a must-have for your natural cure library. For 20 years, we’ve scoured the globe to bring you the best cures and healing solutions for nearly every affliction, big and small. From the far reaches of East India, to the rainforests of Brazil... there are hundreds upon hundreds of natural healing wonders we’ve discovered during our journeys. And now they can all be yours — at your fingertips. From allergies to diabetes... from fatigue to kidney pain... from osteoporosis to wrinkles... and more. In fact, there isn’t a health problem that Miracles from the Vault can’t tackle. In fact, there are over 86 different cures and healing miracles inside. Page 241: The natural moisturizer that dissolves joint pain... AND wrinkles?! I guarantee that when you open your package with these two gifts (totaling over 600 pages)... and look over just a few of the articles inside — you’ll be blown away by what you see. When you open your copy of Miracles from the Vault... you’re expecting nothing less than a miracle. And that’s exactly what we’ll deliver. ...and against their un-American way of profiting off honest, hardworking folks like us. They may try to control everything in this country, but they will never control YOUR health. And it all starts with your free copies of Insider’s Book of Secrets and the 564-page Miracles from the Vault. Are you with me? Ok, good. There’s a button at the bottom of this page that says “Yes! I want my free gifts!” Just click on it to get started. And then, to claim your free gifts, all we ask in return is that you support our mission by becoming an HSI member yourself today. You see, every single cure you heard about here was first shared with our private society of members. And now I want to make sure you never miss one of our upcoming breakthroughs. That’s why we’re offering you the chance to join HSI today as part of our exclusive membership. What exactly does that mean? Well, here are just a few of the benefits you’ll receive when you join today. Your Two Free Welcome Gifts: Insider’s Book of Secrets AND Miracles from the Vault. Shipped free right to your doorstep, these two books are 600 pages chock full of breakthrough cures and healing miracles covering nearly every disease... from Alzheimer’s to asthma... from cancer to diabetes... and more! The HSI Member’s Alert Newsletter. Each month we will send you a private report of our latest findings in natural medicine from around the world... plus how to get them and use them yourself. This thorough 8-page report is a breeze to read — and makes sure you always have access to our best cures, whenever you or a loved one needs them. Just like the rest of the news in the world, healthcare can be pretty unpredictable. So that’s why we make sure you’re always covered — even between Member’s Alerts. Whether it’s a new drug warning or price hike, or even a natural breakthrough you can use to feel better right now... we only send the news that matters to YOU. Deep Discounts for our Seniors and Vets. Here at HSI we appreciate all of our members, but especially our seniors on fixed incomes and military veterans who served our country. Full Access to Members Only Content in our HSI Library. Once you join HSI, you’ll be given your own personal password to access our online treasure trove of cures — virtually everything we’ve published from our 20-year history. Our 100% Money-Back Member’s Guarantee. We’re so confident you’ll love everything you find inside your HSI Members Welcome Package... including your incredible free gifts, private access to rare underground health miracles, discounts and more... that you’ll consider it an incredible value for the low membership cost. But if for any reason during your membership you decide you don’t need these benefits — just say the word, and we’ll issue you an immediate refund. And you keep your free gifts no matter what! And, rest assured, every single piece of information, every article, report and book... the products we recommend are all Gold Seal quality. That’s because we take absolutely no money for advertising and exist completely on the generosity of members like you... so we work ONLY for you. And NOT for some company... board members... pharma drug... government or anyone else. Becoming a member is simple... just fill out the form on the next page, and pay the small fee we ask to cover the costs of researching and bringing real cures to you. Plus, just a reminder, you’re always covered by our 100% Money-Back Member’s Guarantee — even if change your mind in 1, 5 or 11 months from now. OK... ready to get started? I can’t wait for you to join HSI and discover your own path to total health... but before you go, I have ONE last surprise in store for you, and this might the best one yet. Because today, if you RSVP in the next 20 minutes, I’d like add an EXTRA “thank you” bonus gift into your welcome package (valued at $59)... FREE. You see, I want to make sure you have every weapon in your arsenal ready — so you can fight back and protect yourself from her Cartel. But — the truth is — there’s one mistake that many unfortunate folks make... which puts them on the Cartel’s list as Target #1. And if you make it, there’s a 100% chance you’ll be in their sights too... only, this time, there’s no escaping them. It’s two words that are enough to strike fear into the hearts of everyone over the age of 50: NURSING HOME. Let me ask you... How many people do you know have lived happy, full lives in a home? Sadly, the answer for most of us is none. Then wrapped into diapers, spoon-fed foods from a blender, bathed with a sponge in bed and flipped every 15 minutes like clockwork. Sometimes it’s an accident that puts them there... a broken hip that robs them of their independence. And sometimes it’s more gradual... like fuzzy memories that lead to widespread mental decline over time. Friend, I realize this is unpleasant to think about — but it’s important we talk about it now. I don’t want your last days on earth to be spent in a hospital bed staring at the ceiling. And I know you don’t either. That’s why I created the first-ever, surefire guide to maintaining lifelong independence AND avoiding a nursing home. I sifted through all 20 years of HSI research to assemble only our best secrets for a long, healthy life into one comprehensive guide. It’s called: The Independent Patriot’s Guide to Staying in YOUR Home (Not Theirs...). It doesn’t matter if you are a picture of perfect health OR struggling with many symptoms of aging... this guide is for YOU. Anyone can use these secrets to maintain their freedom, and even feel younger well into their 90s and beyond. And, best of all, these are simple tips you can easily start doing tomorrow... No weird diets, complicated protocols or “lifestyle overhauls” here! The “Spark of Life” secret that recharges your body at the cellular level (yes, I mean EVERY cell)... rushing in the good nutrients your body craves, and kicking the bad stuff out. Call it a “detox” if you want, but if you’re looking for an immediate total body health makeover, throw away your multivitamin, and try THIS on page 5 instead. Forget everything you thought you knew about sarcopenia. “Experts” are still chalking it up to a “normal sign of aging”... but it’s now being classified as a hidden epidemic that saps muscle strength, and makes seniors more frail by the second. Not only that, it’s increasing falls, bone fractures, limiting movement, and even leading to early death. Luckily, there’s an amino acid miracle that reverses all the damage of sarcopenia — and even builds and preserves your muscles. If you’re ready to stay “lumberjack strong” well into your 90s, the secret on page 15 is for YOU. The 1 secret all 100-somethings have in common... they simply have more of THIS antioxidant floating around in their body. Now, researchers have found the PERFECT copycat that mimics its power... and studies are even showing that it’s destroying Parkinson’s, fibromyalgia, lupus, Alzheimer’s, cancer and more. Is this the one pill that will make hundreds of pharma drugs obsolete? Turn to page 29 to see why... And that’s just the start. There is SO much more waiting for you inside The Independent Patriot’s Guide to Staying in YOUR Home (Not Theirs...). And I can’t wait for you to discover these cover-to-cover miracles when you RSVP and say “YES!” in the next 20 minutes. Remember, there is NO cost for this invaluable resource today. It’s the third welcome gift in your new HSI Member package... and it’s 100% free with our compliments. 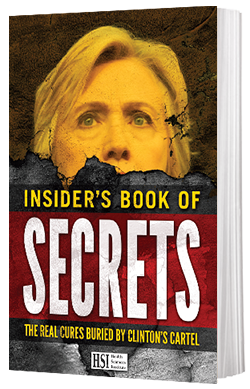 Your confidential report that blows the lid off Hillary’s shady Cartel and reveals 5 major covered up cures you can use today: The Insider’s Book of Secrets: The REAL Cures Buried By Clinton’s Cartel. 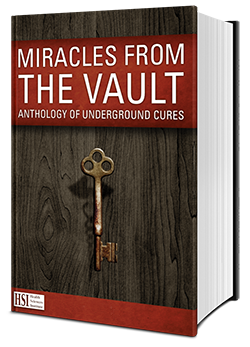 Your massive 564-page cure encyclopedia, with all the greatest healing breakthroughs HSI has uncovered in our 20-year history: Miracles from the Vault: An Anthology of Underground Cures. Combined, these reports have an estimated total value of over $479, but today, we’d like you to have them absolutely FREE. Each of these reports will never be sold in stores or online. In fact, joining HSI today is the only way you can claim these invaluable resources. It’s our way of saying thank you for supporting our mission, and standing up to Hillary and her minions. Whatever your health concern is today... or tomorrow — we have you covered. Wait! Don't leave without your free gifts! Are you sure you don’t want to claim your FREE copy of The Insider’s Book of Secrets: The REAL Cures Buried By Clinton’s Cartel and your 564-page encyclopedia, Miracles from the Vault? We’d hate to leave you empty-handed, especially when you’re just moments away from gaining access to over 102 underground cures… at no cost to you. Page 1: The Sour Honey Secret. Discover the only natural cancer cure acknowledged – and buried – by our own U.S government. Could this mean the end of chemo? No wonder they never wanted this to get out! Page 7: The PDS Protocol. The easy secret to reversing Alzheimer’s and dementia… with the power to roll your brain’s “clock” back 12 years! Page 11: The E-GM Solution that erases arthritis in as little as 7 days… Your chronic pain has finally met its match! Are you ready for a brand-new outlook on life and ZERO pain? Page 15: The Good Sleep Cocktail that keeps your mind focused and calm during the day, and gives you deep, restful sleep night after night…You’ll be amazed by how much better you start feeling right away. And those are just 5 of the many cures and healing miracles you’ll find in your two FREE gifts. 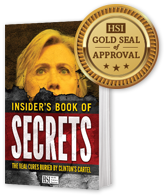 All you have to do is click the button below to get started and claim your copy of The Insider’s Book of Secrets: The REAL Cures Buried By Clinton’s Cartel, along with your 560-page encyclopedia, Miracles from the Vault. Page 5: The “Spark of Life” secret that recharges your body at the cellular level (yes, I mean EVERY cell)… rushing in the good nutrients your body craves, and kicking the bad stuff out. Page 15: How to stay “lumberjack strong” well into your 90s with this amino acid miracle. It reverses all the damage of sarcopenia and preserves your muscles. Page 29: The 1 secret all 100-somethings have in common… they simply have more of THIS antioxidant floating around in their body. 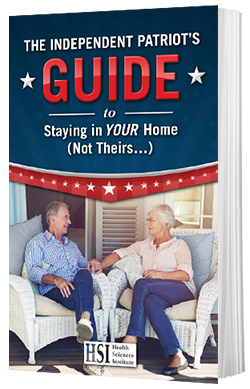 There is SO much more waiting for you inside The Independent Patriot’s Guide to Staying in YOUR Home (Not Theirs…) and it’s your absolutely free when you signup today. With these 3 masterpieces in your collection, you'll have more than 19 years' worth of real-world natural healing knowledge at your fingertips.